Easily create your own branded Facebook Timeline Cover header banner in minutes using the following free online services. 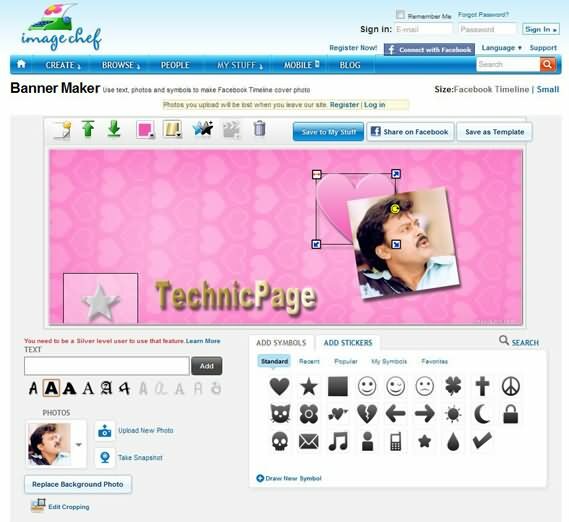 Image Chef is one of the good service to create Facebook Timeline as you like. If you know a better websites, write in the comment section. Simple and easy tips to decorate Facebook timeline by proper use of creative and cool theme.Especially Facebook addicted users are always thirsty to make their profile more attractive and unique photos having extraordinary thoughts are being used that can helpful to make the timeline awesome.